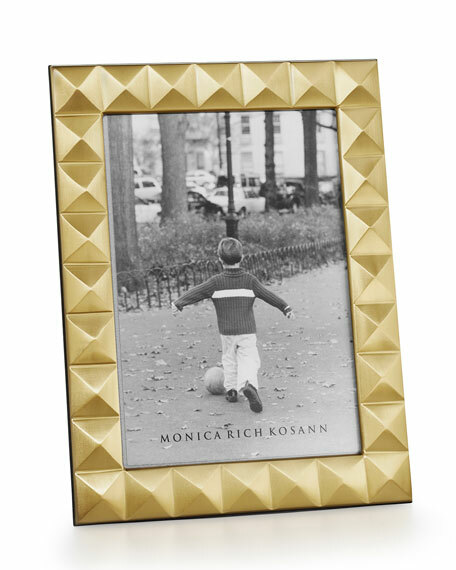 Frame inspired by Art-Deco mirrors. Lacquered finish never needs polishing. 7"W x 0.5"D x 9"T.